I will never forget the feeling. A sense of excitement, mystery, apprehension, awe and unbelievable reality came upon me as I got into the diving gears for the first time. The sunny blue skies and the blue waters in Balingoan is a witness as she engulfed me in the depths. That was five years ago when I came alone for my open water diver course. Since then, it has been a journey and I’m still on the road. Now, I want to pause and step back a while for some reflections as I reached my fifth year enjoying one of my greatest love and exploring the amazing underwater world. As Professor Trevor Norton said, “Once you have a taste of the ocean, the intoxication lasts a lifetime.” Indeed, I never felt such sense of equilibrium after I got into diving, it’s something deeper – it brings a sense of privilege seeing a magnificent display of nature in the raw – in an amazingly separate world – underwater. Diving has changed me in many ways, life wasn’t the same after I became a diver. 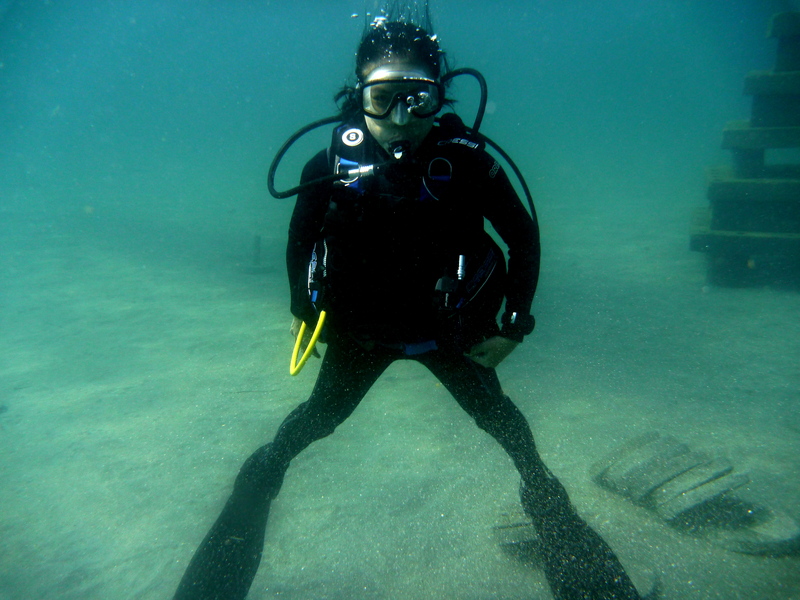 Two years later after I got utterly fascinated floating in the deep blue, I took my open water diver course in 2007. It took me that long to decide as I know I need to dive often, no doubt it is necessary and that would be too expensive, I thought. But the desire was so great, I took the plunge. Then another two years (2009) later when I took my advance open water course – alone again! The desire was great to acquire more skills and I found it necessary as I need to gain more confidence as I explore more of the depths. 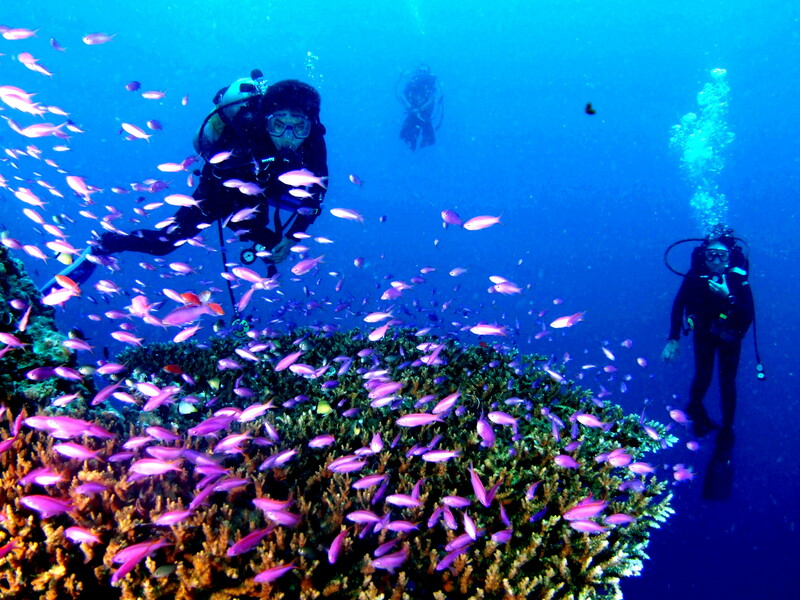 Every Filipino diver’s dream without doubt is to explore Tubbataha – an underwater paradise and a marine world heritage site. I shared such same dream with my favorite dive buddy carefully planning things, sure we did it! But again, this dream was answered exactly two years later when we committed for the plan. And with the principle of continuing education and the concept of PADI learning system, I need to level up my certification so as not to limit my diving adventures. Few months back, I got certified to use enriched air (EANx) two years later after my advance open water course. Now, aiming for Rescue Diver certification with the objective to acquire the ability and skills for rescue and therefore be useful in such situation, I can only hope I got certified before the two year period would lapse! Since diving is generally and strictly adopting the buddy system, I need a buddy whom I could be comfortable with and have aligned that same rhythm and vibrations when we go underwater, more so on the surface. I have been traveling and diving with my favorite dive buddy for more than three years now, hoping for more dives together in the days to come. Looking back I am most thankful to two people who have been with me, two important people who inspired and gave me courage to go on and hope for the best in my diving pursuits. My mentor, who got that enabling flair for his students in acquiring the necessary skills and confidence to make most in every dive. As a newbie, my dives was always with him – then one day, he said I must go and experience diving somewhere else – like a father telling a daughter to spread wings. I did and now exploring and learning many new things just as he said. He’s always there for my concerns and needs even until now, he’s just an SMS away – just few weeks back, he made arrangements instantly when I told him I want to dive in Mantigue Island. 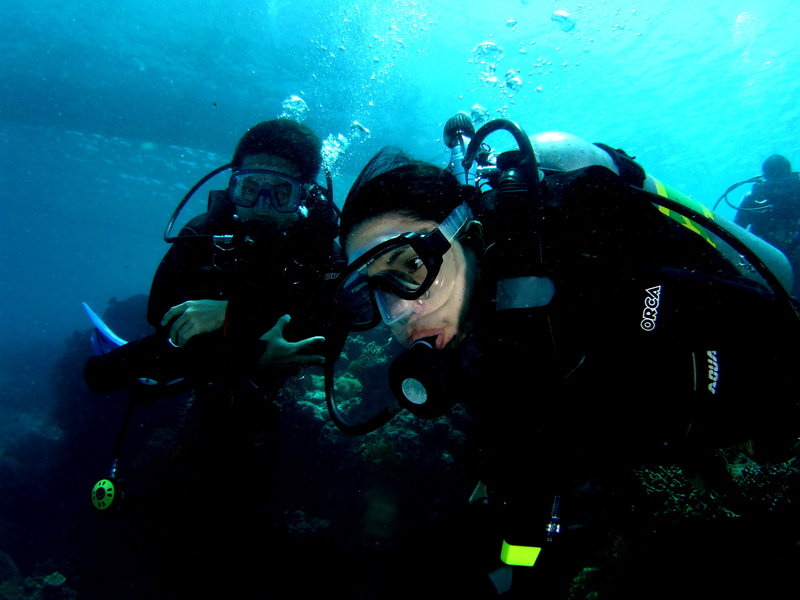 And surely, my favorite dive buddy who is my companion in most of my diving trips including the Tubbataha Dive Cruise. I shared wonderful memories with him in my underwater escapades. I traveled with him often and in some ways spoiled me with all those getaways, I love it though! I felt blessed and honored to have these two noble men who shared their time with me, cared for me and extended a hand in any way they can. I have both – they said supposedly mature adults must do things with objectivity and that sounds logical. At first, it was quite personal – I was bitten in that one magical moment in the deep blue. My sub-conscious kept nagging me to discover and experience such amazing underwater realm, which I could only do by strapping a tank on my back and go deep down. I had no regrets, I’m enjoying every bit of the journey, and more importantly it gave me a new sense of balance. On a deeper sense, I realize that this amazing marine world is in great peril as a result of man’s greed and exploitation, the whole mankind needs to save the degrading resources entrusted to us. We are just stewards, we failed and we have sinned against the Creator. Now I know better, I have obligation to protect, preserve and enhance this last important ecosystem on earth. It pained me to see all the atrocities of marine life done by humans who are supposedly civilized and educated as they claimed to be. The marine world needs us! I have much to say about lessons and my journals was filled with many accounts, indeed I have learned so much in many aspects. There is always something in every dive trips – new friends to meet underwater, new sites to see, variety of sea creatures and new learning of characteristics and behaviors. I learn to manage schedules and arrange trips with much flexibility without sacrificing my work obligations. I meet people in the diving community, all of them as far as I could remember are kind, friendly and helpful – perhaps, divers belong to such breed! I become more compassionate, undoubtedly more humbled and felt more privileged to be exploring the depths, when not all has the opportunity for such favor. There’s no denying the fact that traveling is part of diving, I would say I was seeing more places in the country for the last four years in quest for dive sites. It’s more than just counting sites for my dive log but I believe diving gave one that itch in search for something new and unfamiliar or unknown. My dive buddy and I found it exciting to uncover and unravel new sites, especially those off-beaten ones. We learn more and bring home with us treasured lessons and cherished memories. 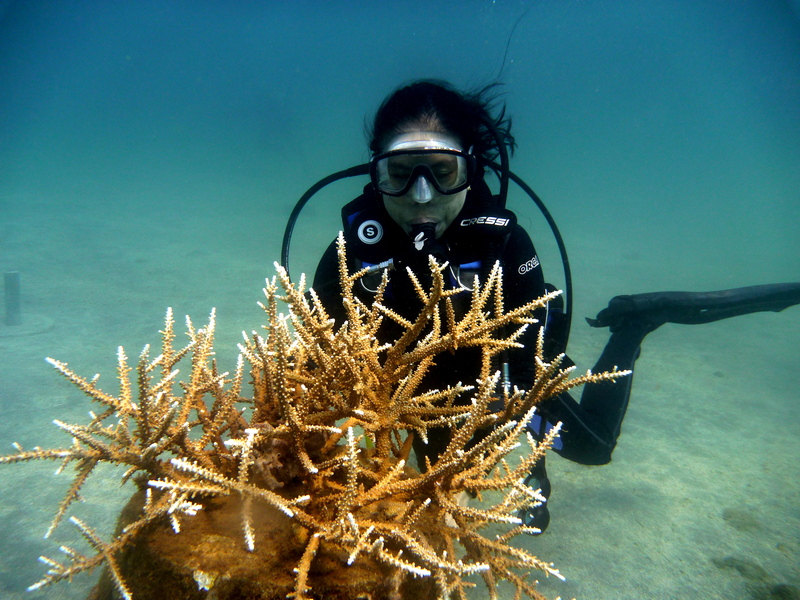 I have favorite sites which I visited often, to name a few: Coron in Palawan for the World War II shipwrecks, Moalboal in Southern Cebu for the sardines run and Banaug Shoal in Balingoan for its diverse marine life. And I will forever treasure my first thirteen dives in Tubbataha Reefs – it was a dream come true. I love Apo Island, Apo Reefs, El Nido, Mantigue Island, Malapascua Island and Puerto Galera. 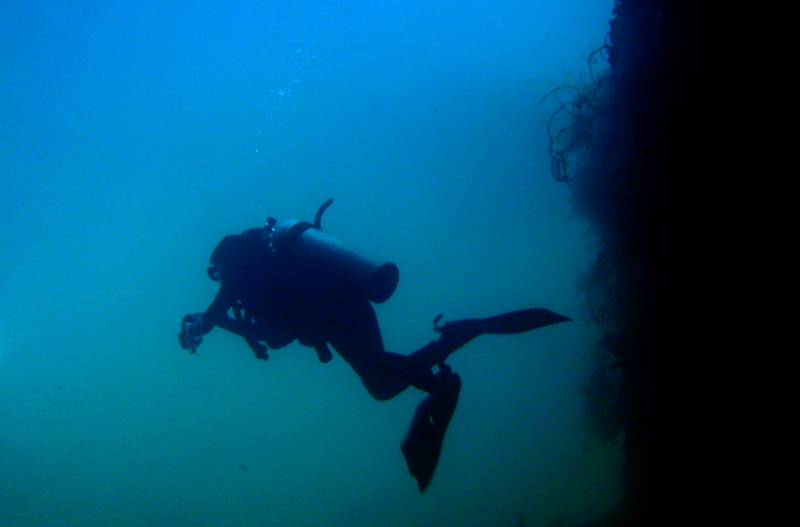 But there are still more depths to dive right in our country, there are more to see than what I have seen. Like a miracle unfolding, graces and blessings abound. Indeed, finances is necessary for the trips but everything was provided, the Great Accountant was too generous. Surprisingly, arranging schedules become manageable even sometimes tough decision have to be made, prioritization becomes an art. Undeniably, unforeseen circumstances intervene but I learned to be tough and knew that there’s always good reasons for all events that happened along the journey. The Lord has always lavished me with these gifts, and many times I felt spoiled with His generosity and kindness. Five years wasn’t very long but I gained so much treasures from this journey. Cheers to the next five years!